happy hour honeys: Portland Dishcrawl: SE Division Street! 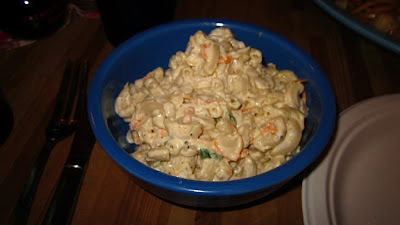 Portland Dishcrawl: SE Division Street! As you know, Katie moved back to Portland at the end of June and started a job as the Portland Event Manager and Marketing Director for Dischrawl PDX. This social dining experience is right up our alley...4 restaurants in 1 night with fun people, I'm in! 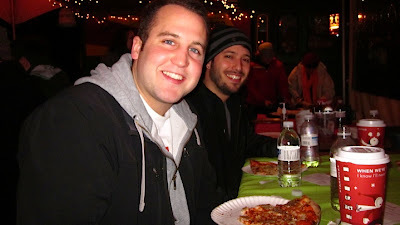 In the beginning of November, LivingSocial sold tickets to a SE Division Dishcrawl as part of Living Social Adventures. I've been on multiple Dishcrawls as a volunteer and Katie's right hand gal, but on Tuesday I had the pleasure of going on my first Dishcrawl as a crawler! Where: D-street Noshery, 3221 SE Division St.
Slice Brick Oven Pizza is a fully mobile food cart that opened about a year ago by a couple looking to break into the Portland culinary scene. The thin New York style crust is topped with homemade sauces and fresh local ingredients. 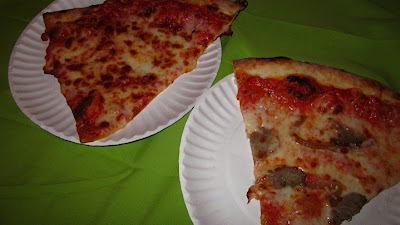 I prefer my pizza with super thin crusts, so this was my kind of slice. Jenna went for the Cheese, while I opted for the Pizza Alla Vodka with sausage and caramelized onions and a classic vodka sauce. Both were pretty delicious and a great way to start the night! Next we walked all the way across the food pod to Oregon Ice Works. I first tried Oregon Ice Works at a World Forestry Center fundraiser and again when Katie and I hit up D-street Noshery this summer, so I already knew I would like this stop! Kevin, food cart owner, Philly native, and Italian ice enthusiast, introduced the two flavors. 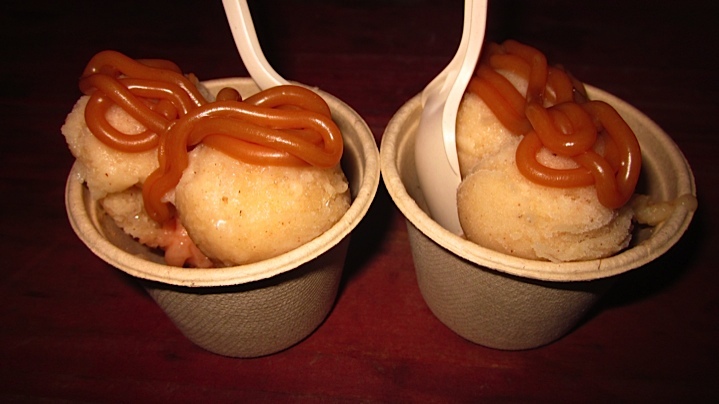 One was a Bourbon, Peach and Ginger Ice, and the other was Caramel Apple Pie Ice with Caramel Sauce. They were both amazing, but I think the apple with caramel sauce was the favorite. In the cold, slightly drizzling, autumn night it just tasted like fall. If you're thinking that Italian ice sounds too cold on a winter day, don't fret, Oregon Ice Works also makes soup. Or, if you do want Oregon Ice Works through the winter, without the cold food cart part, ask them about their weekly pint club! Where: 2525 SE Clinton St.
A great aspect of Dishcrawl is that you walk to each restaurant. This gives you time to talk about the last place, get excited for the next, check out other great spots in the neighborhood, and not to mention, burn off some calories! After D-street Noshery, the group walked for 10 minutes to Noho's Hawaiian Cafe on SE Clinton and 26th. 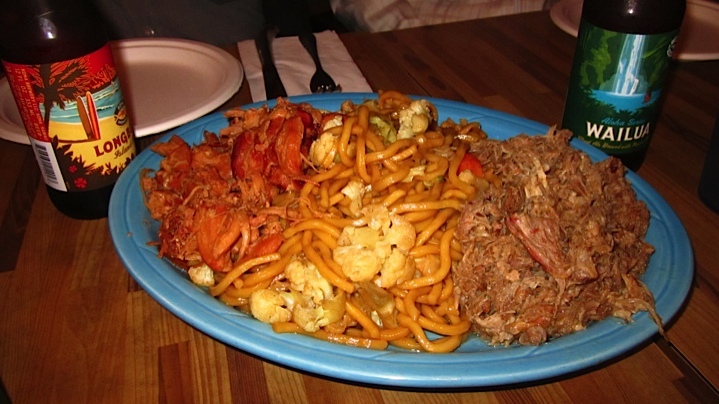 Noho was there to introduce the gigantic plates of food brought out for groups of 4 to share. He opened his restaurant, at that location, in 1992. Leaving the corporate world to take a risk as a restaurant owner, he shared stories of how that Clinton street corner has changed over the years and how he cannot imagine doing anything else with his life. 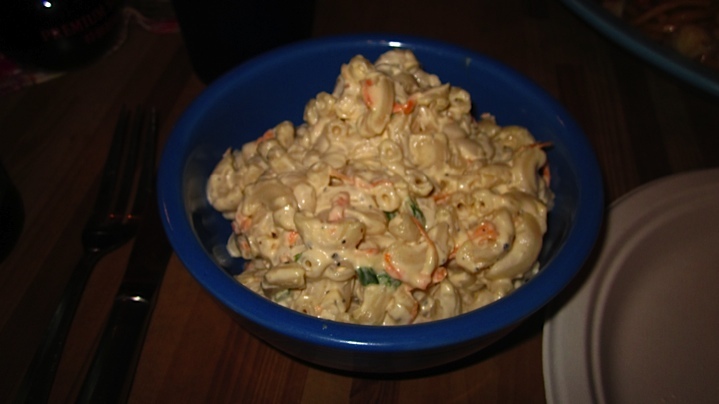 The food he serves is based on his mom's home cooking and the style of meals he remembers growing up with. 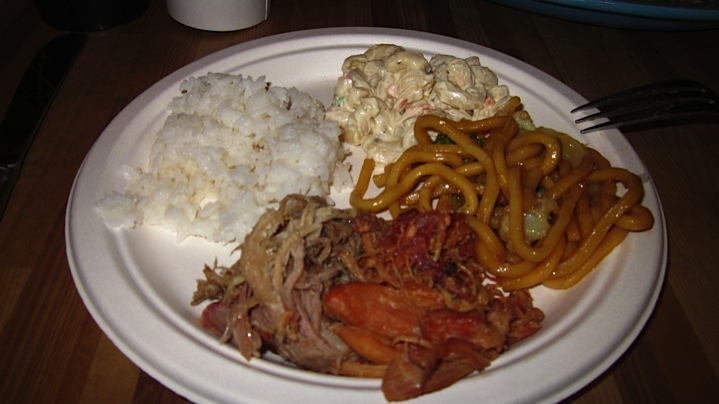 We were able to sample chicken, pork, noodles, rice and macaroni salad. There was even food left over for some people to take home. Lucky! This Noho's location doesn't serve alcohol, only because there isn't room in the kitchen to keep it cold, but since this was a special event they brought in Hawaiian beer for everyone. So nice! Where: 3115 SE Division St.
Last stop was Bula Kava House. Kava is the name for the plant, root, and drink made from piper methysticum, and was first domesticated in Vanuatu (an island nation in the South Pacific) thousands of years ago. 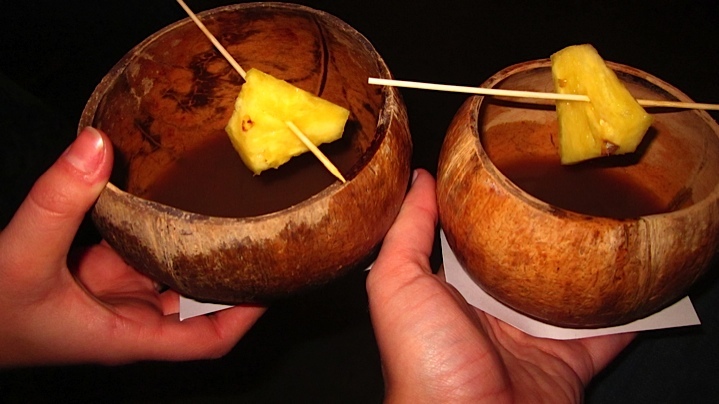 Judd, the owner of Bula Kava House, first tried Kava in Hawaii and decided to bring this traditional drink back to Portland, and we're glad he did! 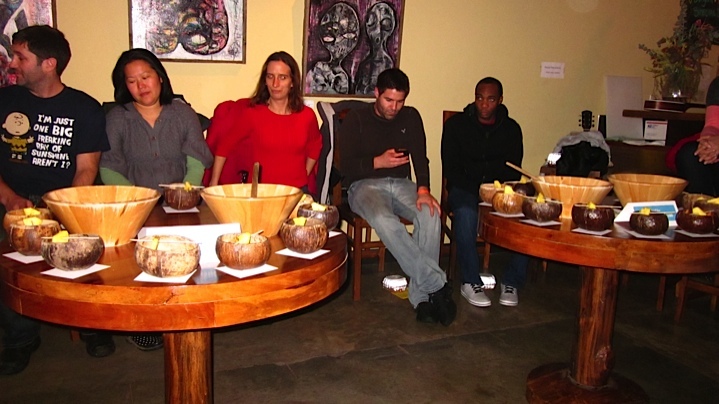 We started our Kava experience by learning about some of the physiological effects, mostly muscle relaxation and a general feeling of calm, while maintaining mental clarity. The active ingredients are called kavalactones, of which there are eight different types resulting in different physiological effects for every drinker. 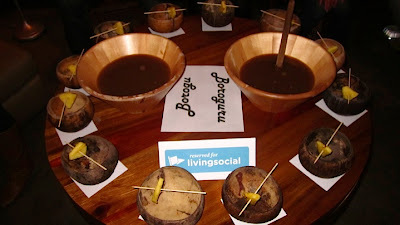 We tried two different types of Kava: Boroguru and Borogu. Boroguru is a strong kava with a pleasantly smooth flavor, fast acting and potent, while the Borogu is a "party kava," more mild and easy with a peppery flavor. Both Kavas definitely had a peppery and (honestly) dirt flavor. But the good news is that you chug (yes, chug) it and chase with a pineapple slice, so you don't have to deal with the flavor for long if it's unpleasant for you. Kava has historically been used in different ceremonies so we enjoyed ours with a tradition from Hawaii. We clapped once before chugging our Kava to call spirits that we might want there with us, and then clapped twice after to scare away any spirits you don't want there that might have accidentally been called with the first clap. 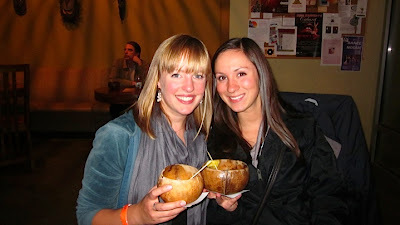 We will definitely return to Bula Kava House soon. 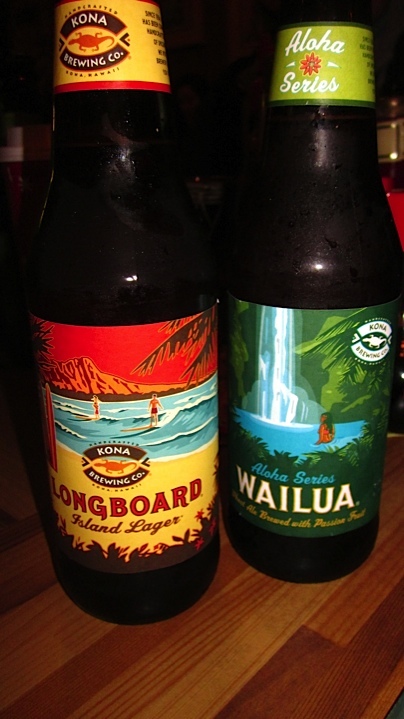 Not only for the kava, but to try some of the sandwiches or pie. Yum! Next Dishcrawl: A Nob Hill Sandwich Showdown! This could quite possibly be the best Dishcrawl yet. Buy tickets here for only $26!